The Maxidaq is a comprehensive process controller designed to meet today's complex automation and instrumentation needs. The computer hardware is housed in a watertight enclosure, and is controlled using a web-based user interface. It sports it's own wireless hotspot for direct connections, and can also be linked into an existing wired network. 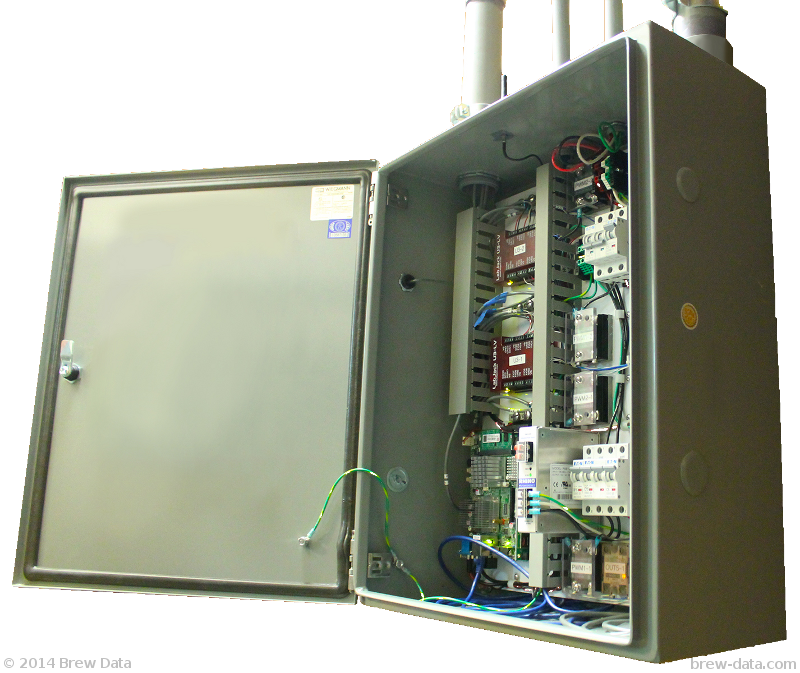 It features both data acquisition modules for monitoring sensors such as temperature probes, and solid state relays to control motors, heaters, or solenoid valves. The systems also offers advanced energy saving algorithms that can substantially lower power usage. Web-based interface means the Maxidaq can be located for easy wiring. No moving parts insures system reliability. NEMA 4 rated enclosure keeps out water and dust. Save money with efficient refrigeration control and smart grid algorithms.